Rapport won the pitch for an educational campaign to inform all the schools, primary and secondary, within one mile either side of 26 miles of Crossrail’s planned route about its activities. Schools and their teachers are the core of local communities so Crossrail wanted to reach families through classrooms to let everyone know what would be happening. In schools the company wanted to reach all years. In the primary sector the educational promotion was required for all classes of pupils aged 5-11 years. In secondary schools, educational content promotion was for all years of students, ages 11-16. All educational promotions had to feed back to families and local communities. A fantastic project starting with no educational marketing collateral at all with a multiplicity of objectives; To promote the Crossrail programme, explain benefits to children and families, engage all schools in the promotion with named teachers registering for teaching resources, deliver health and safety information, support local communities and communicate with Crossrail’s stakeholders. A complex timeline required simultaneous delivery of all elements for the launch of a programme required to last the period of one school year. First Rapport met with the Crossrail messenger to engage children. 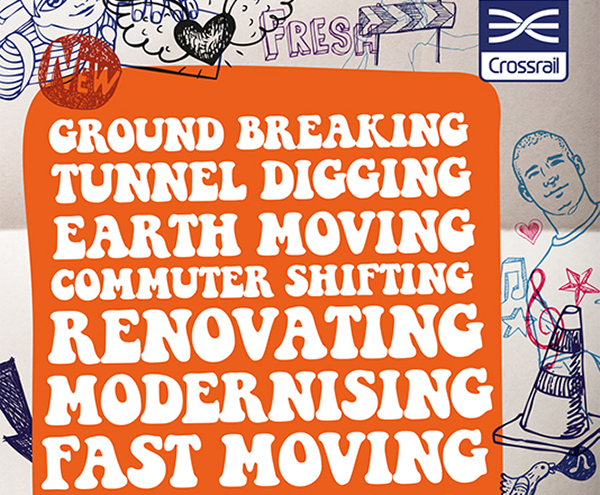 The Young Crossrail website was created hosting valuable information about Crossrail plans so children could learn about what would be happening. Topic-linked computer games helped visitors play with content that reflected the works being undertaken by Crossrail. Educational resources, meeting demands of the national curriculum, were created for teachers with classes for 5-7 year olds and 8-11 year olds in primary and subject-based resources – science, geography, technology – for teaching 11-13 year olds and 14-16 year olds in the secondary schools. These, along with posters and leaflets, for distribution, were delivered to teachers following an acquisition campaign building a database for ongoing communications. Launch communications achieved 63% registration from schools within one mile of the planned Crossrail route registered. These went to Headteachers, Heads of Year and Subject Heads. The balance of schools were contacted through a telephone campaign, which succeeded in giving a final count of 87% of all schools. Website traffic analytics linked to the schools database revealed popular teaching content and games to serve as the basis for regular promotional activity throughout the school year. Post-project research, qualitative and quantitative, revealed high levels of awareness Crossrail activities among all target groups.